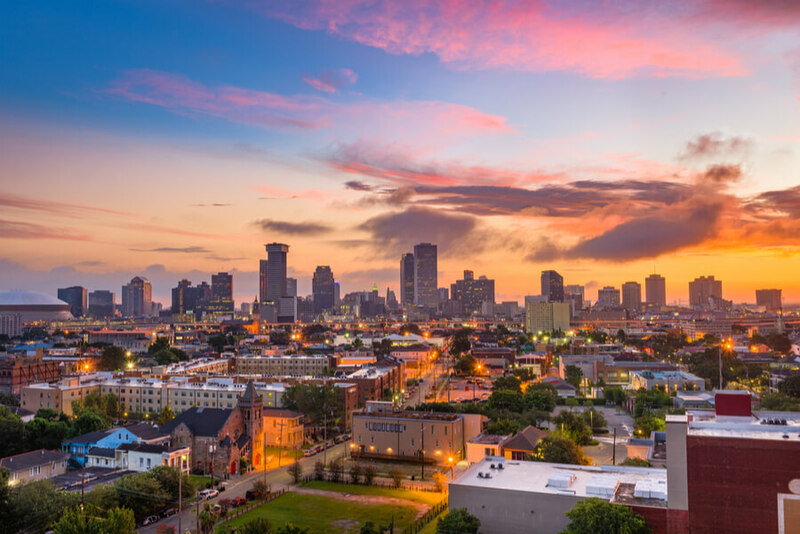 Bridge House/Grace House, located in the vibrant city of New Orleans, Louisiana, is a non-profit residential treatment center which provides substance abuse treatment services for men and women dealing with substance addiction problems. The treatment center has been in operation for about 60 years. In 2017, the facility evidently opened its doors to 364 women and more than 400 men who were homeless, unemployed, and/or indignant. Out of the 100% of residents who were admitted, only 4.5% of women and 3.5% of men used addictive drugs and substances after receiving treatment. The center also reported an increase in stable housing and social support and a decrease in criminal activity. Yearly, the center treats more than 800 men and women. The facility provides a continuum of care which ensures that all residents are accurately assessed and offered services and programs to meet their distinct needs. The facility boasts of its long-term, community-based residential treatment program which engages in clients in therapy, community education, the 12-step program and much more. Additionally, the center offers gender-specific treatment with male and female substance abuse treatment centers being operated at separate locations. The facility’s vocation-based, clinical programs have clear goals: to help clients maintain long-term sobriety and increase their ability to function in family, social, and vocational relationships. The facility offers a total of 154 licensed beds at its locations (84 beds belonging to Bridge House and 70 beds belonging to Grace House). In 2017, the center treated about 5.2 persons per bed. The rooms are furnished sparsely and in dorm-style with 3-4 twin beds usually allocated per room. Each room is furnished with nightstands and desks and residents are provided with closets which have hanging rods and shelves. All treatment locations of the organization have cafeterias and the meal menus are kept simple. Bridge House and Grace House operate a sliding scale payment method which means the household income of the prospective client is calculated to determine an amount that will be comfortable for the client to pay. Due to the sliding scale method, there is no specific amount and in this, clients are advised to contact the house for more information about payments and admission. Payments made are usually for a 30-day or monthly basis, clients seeking more time or less are encouraged to contact the facility for more information on this. The house offers a program called The Used-Car Lot program that offers residents of the house the opportunity to learn how to repair cars and automotive. This training is done on-site and is a good program for clients seeking to pursue careers in the field of automotive. Both houses host different events and occasions to help raise funds. Clients who have hit rock bottom and keep relapsing will find these houses to be a good option as the rehabilitation facility does not turn anyone away and are willing to aid clients through a treatment program that encourages living a life of sobriety. Clients seeking a rehab center that is dedicated to treating individuals at a very affordable cost will find Bridge and Grace House to be a good option. Else holds a Master’s degree in Business Administration and is licensed to practice Addiction Counseling. Prior to holding the position of C.E.O at the rehab facility in 2011, she served in different capacities at the facility as she has been with the facility since 1992. She served as the direct provider of services, an Executive Director. She is currently in charge of the overall management of the rehab center including development and implementation of treatment programs, supervising staff, and more. Michelle holds a Bachelor’s degree from the Louisiana State University majoring in Political Science and Master’s degree from Tulane University majoring in Social Work. She is licensed to practice Clinical Social Work and is board certified to practice Acupuncture Detoxification and is a Specialist. She has served as the Executive director of the organization in general since 2013 and was Executive Director of Grace for 10 years prior to that.